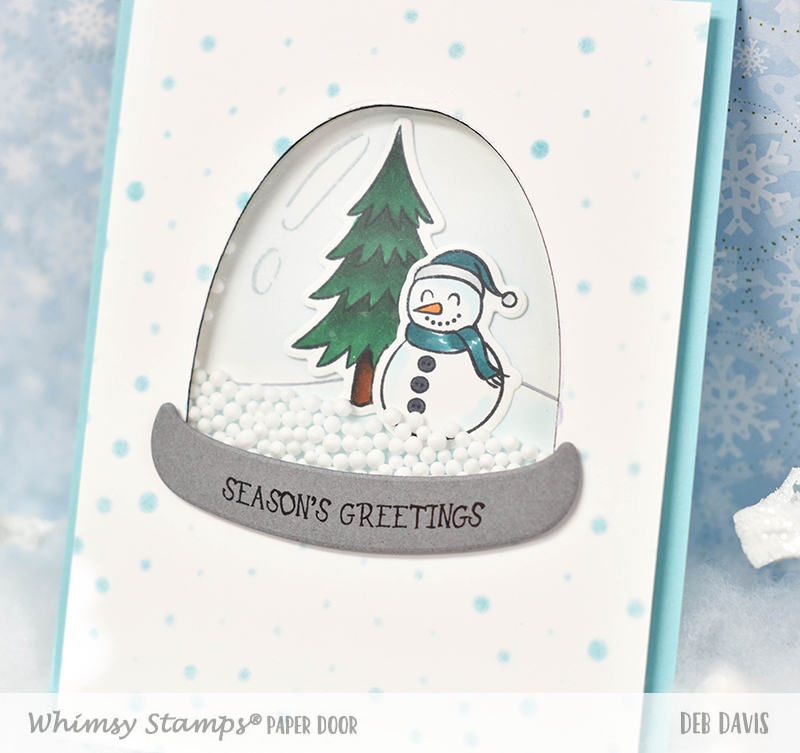 Of course I couldn't not make a shaker card with the NEW Glitter Globe PAPER DOOR kit. This kit is great for shaker cards and has three different shaker elements included. 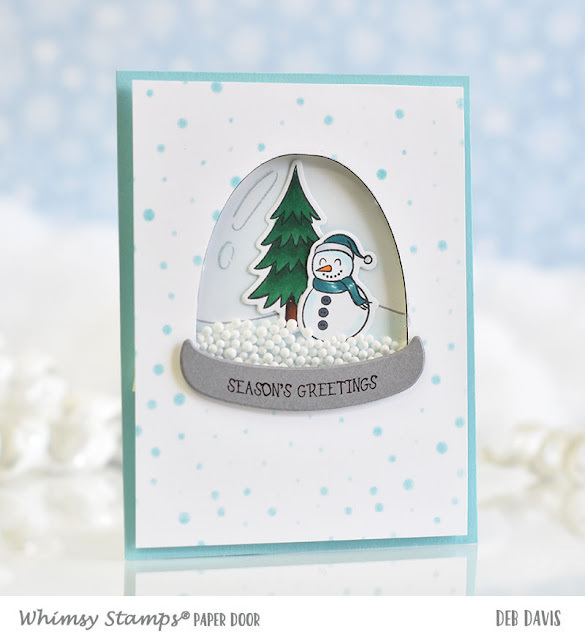 So for my snowman Glitter Globe I decided to go with the obvious "snowballs". The main images were colored with Copic markers and then cut out using the matching dies. 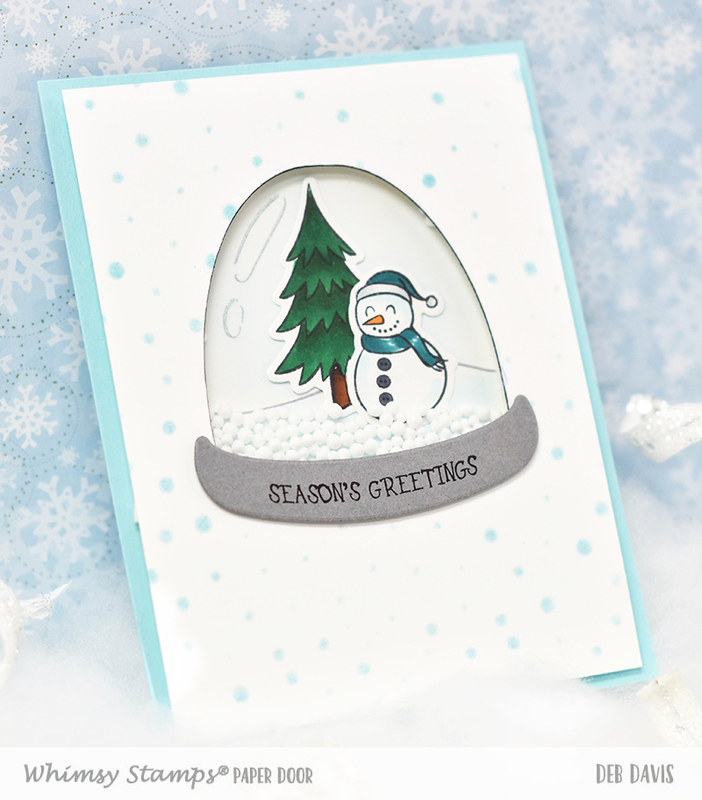 I also love the water bubbles images included in the Glitter Globe stamp set, they make the snow globe effect even more realistic. I used the Polka Dot stencil for the the blue dots in the background, this is a great stencil, it can be snowflakes or just for fun polka dots. This was a really fun card to make, I think I say it every month but this just might be my favorite kit so far. 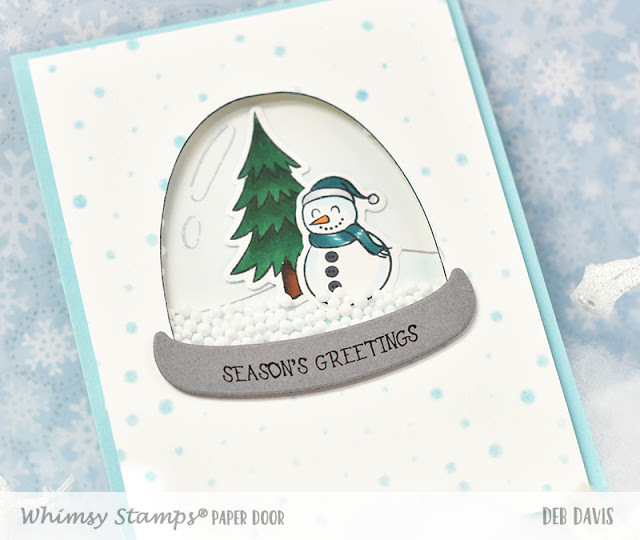 If you haven't tried out the PAPER DOOR kits yet, this is a great one...there's so much fun in this box, I'm lovin' it and I bet you will too!